Mr. Peter Chong Ton Nen is the Founder and Managing Partner of Peter Chong & Co. He is a Fellow of the Institute of Chartered Accountants in England and Wales and a member of the Malaysian Institute of Certified Public Accountants and Malaysian Institute of Accountants. 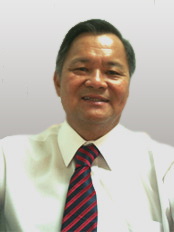 He is also a licensed auditor under Section 8 of the Malaysian Companies Act, 1965. Mr. Peter Chong served his articles of clerkship with Hacker Young, London in 1968. Upon obtaining his membership with the ICAEW Mr. Peter Chong returned to Malaysia and joined an international firm in Penang prior to setting up Peter Chong & Co. in 1974. Peter Chong & Co. has grown to become an established auditing and financial services firm with offices in Penang and Kuala Lumpur. Mr. Peter Chong provides financial and corporate advisory services to various clients ranging from private individuals to limited companies including those listed on Bursa Malaysia Securities Berhad with a diverse range of industries and businesses. He also assisted in mergers and acquisitions, corporate and debt restructurings and Initial Public Offerings. Mr. Peter Chong sits on the Board of the Asia-Pacific Region of BKR International, a global association of independent accounting and business advisory firms in 300 offices in over 70 countries around the world. Copyright © 2011 Peter Chong & Co. All Rights Reserved. Website design by Justsimple. Work Permit is important for a foreigner to work legal on one country. Without Work permit the foreigner staff consider consider as illegal workers in the company.